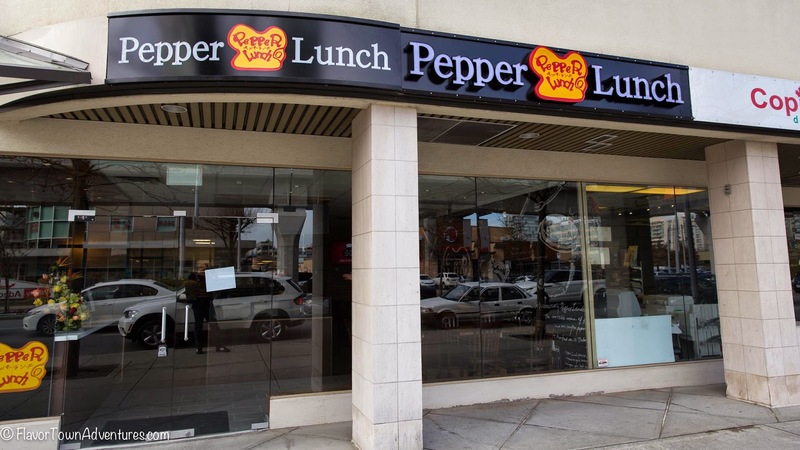 Here we go again, another popular Japanese chain setting up shop in Canada. 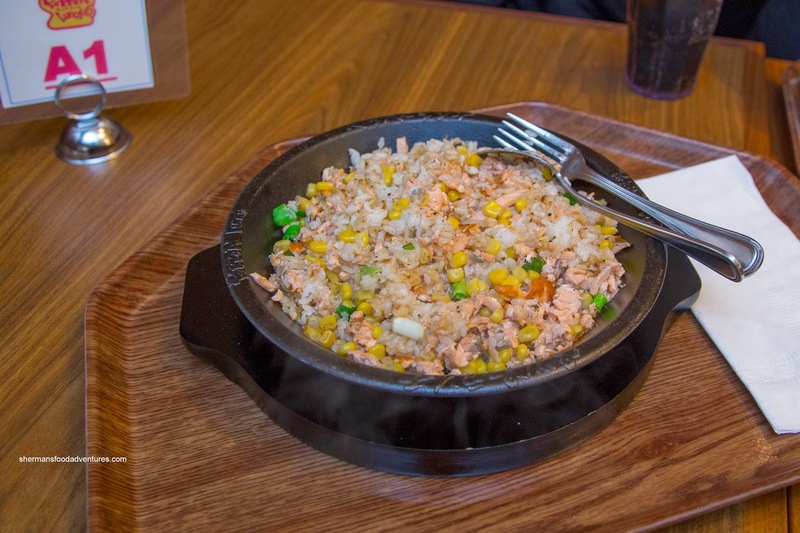 This time, it is Pepper Lunch with its sizzling hot iron plate and signature pepper rice for your DIY enjoyment. I was intrigued and was expecting to visit the place once it opened. Well, that wasn't necessary as an impromptu tasting (with the help of Sean) was arranged by the owner since I was not at any of the preview events. Also thanks to Sean for the frontage pic, I forgot to take one! After we settled in, I was persuaded to try their coffee (I was a bit apprehensive). Well, it was pretty smooth and aromatic. It wasn't particularly strong tasting though. 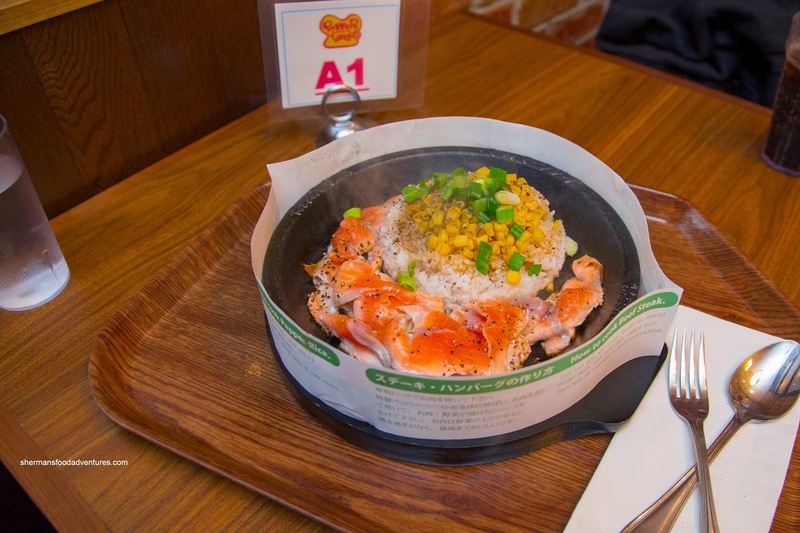 As for the food, we were started off with the Salmon Pepper Rice. Even after fully cooking the salmon, it was still moist. The seared crispy bits were a nice contrast to the rest of the soft ingredients. Naturally, there was a generous sprinkle of freshly ground black pepper which had a strong impact on the dish. To finish the mix of ingredients, 2 different sauces were provided - sweet honey brown and garlic soy. For this application, I found the sweet honey brown a better fit with the delicate salmon. 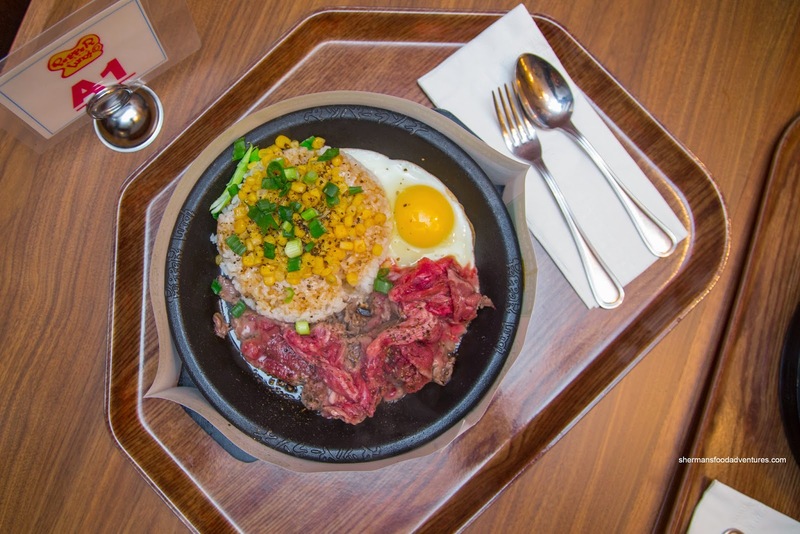 Next up, we were presented with the Black Pepper Rice with sliced Angus beef and egg. 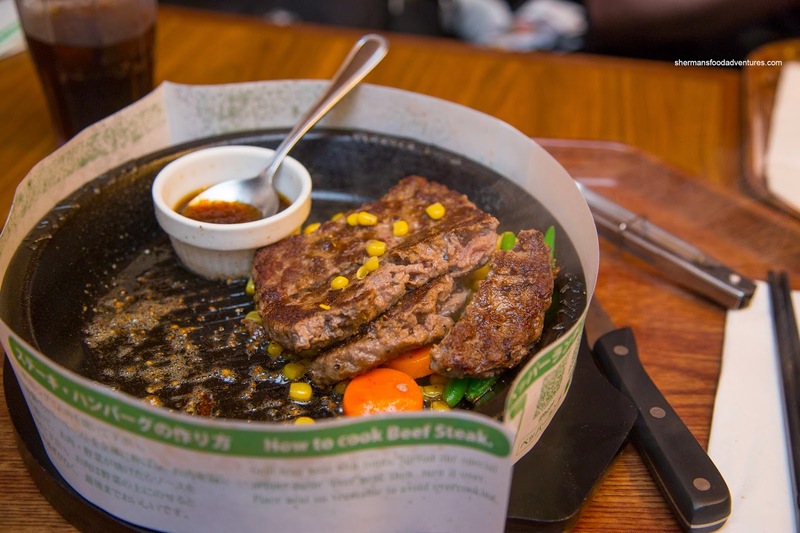 The doneness of the beef was truly dependent on our own preferences. After tossing it around in the super hot plate, we could place the beef atop the rice to stop the cooking process. Then after a short delay, we mixed all of the ingredients together including the egg yolk. With this dish, the garlic soy seemed to go a bit better (but this is subjective). I found this concoction to be more filling due to the tender slices of beef and nuggets of cooked egg. Of note, this particular franchise sources their proteins locally which are higher in quality than the ones used in Asia. Moving onto some meatier items, we tried the Wagyu Hamburger Steak served with pepper butter, black pepper and onion sauce. Nicely seared where it formed a caramelized and crispy crust, the hamburger steak was moist and flavourful from the included condiments, especially the sweet and salty onion sauce. Lastly, we tried the Ribeye Steak with mash potatoes and veggies. To illustrate the intense heat of the iron plate, this completely raw steak was cooked and seared by the residual heat. 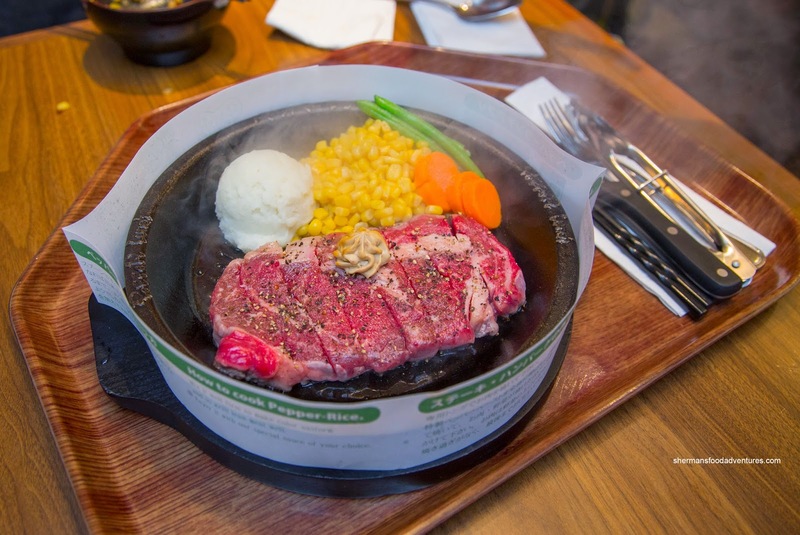 We prepared the Angus steak medium-rare and it was appreciably tender. Thanks to the dusting of black pepper and pepper butter, there was no absence of aroma and taste either. 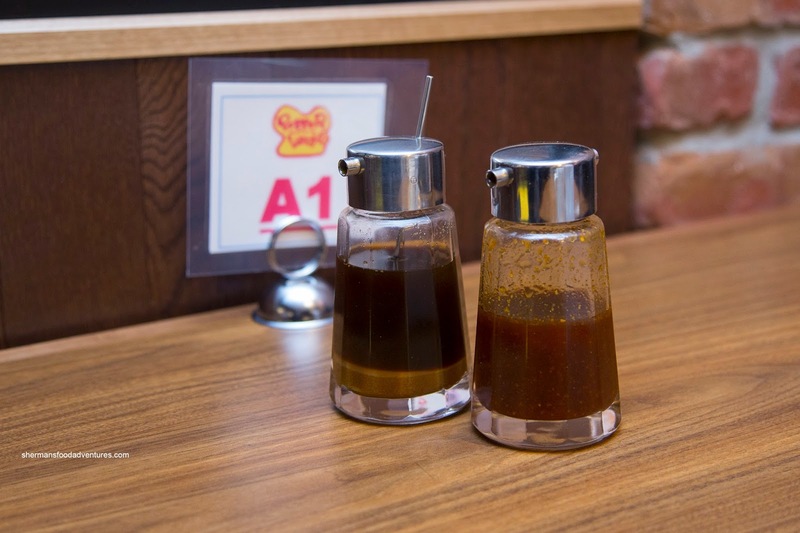 Overall, I enjoyed the food at Pepper Lunch and thought the quality was definitely there. As much as the prices were on the higher side, they do reflect the material costs.